Two foundations were established in England during Catherine McAuley’s lifetime—one in Bermondsey in 1839 and another in Birmingham in 1841. Sisters of Mercy continue to minister in those locations and run heritage centres in both places. 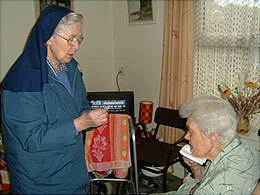 In addition, Sisters of Mercy live and minister in approximately 125 other locations throughout England. Those in England belong to the Great Britain Federation of Sisters of Mercy, Institute of Our Lady of Mercy (Great Britain), Sisters of Mercy of the Union of Great Britain, Congregation of Sisters of Mercy (Ireland) and Institute of Sisters of Mercy of Australia. 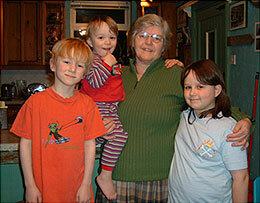 Sisters of Mercy are involved in diverse ministries throughout England. Many are involved in education at all levels, including the ownership of St. Joseph’s School in Burnley serving grammar school children; Maricourt, an eight form comprehensive school for middle and secondary school students in Liverpool; and Broughton Hall High School for girls aged 11-18. Some serve as chaplains in both diocesan and community schools, and in this capacity provide pastoral care, attend to the spiritual and liturgical life, and help to facilitate social awareness of the school children. In the area of Health Care ministry, the Sisters of Mercy own several nursing and care homes, are involved in hospice and palliative care, are hospital chaplains, and provide therapies complementary to those offered by doctors and nurses, including massage therapy, reflexology, aromatherapy, healing touch, and counseling and psychotherapy. Additional services provided for the care of the elderly include home visitation and day care centres and activities for the elderly and disabled persons. Ministry to women and children and the provision of other family support systems include: respite care for children and young adults with severe disabilities, social clubs for youngsters, Youth Mercy Associates, family centres for teen parents and their pre-school children, bereavement support for children and young people, community support for people with learning difficulties and their families, and social services for children, families in need, and vulnerable women especially those transitioning from life on the streets. Prayer ministries include spiritual accompaniment, retreat ministry, leading meditation and faith-sharing groups, running spirituality centres, and praying with and for people. Parish ministries include catechesis, liturgical ministry, and music ministry. Prison ministry includes chaplains in prisons and facilities for young offenders, provision of support to the families of prisoners, being official Prison Visitors to prisoners who would not otherwise have visitors, and being pen pals to prisoners. Additional ministries are ministry with people who are homeless, as well as with refugees, asylum seekers, and the travelling community; and advocating for justice and peace, systemic change, and right relationships among all people. Providence Row, a ministry of the Union of Great Britain to help people find a pathway out of homelessness, has a team participating in Street League. Street League transforms the lives of young and disadvantaged people through the power of sport.